The Itsekiri National Youth Congress, INYC, has called on the agitators for a sovereign state of Biafra to remove Itsekiri land from the map of the Biafra. This was contained in a communiqué issued in Warri, Delta State by the President of the INYC, Esimaje Awani yesterday. He stated that Itsekiri were an indigenous ethnic group of Nigeria’s Niger Delta region of Delta State presently resident in Warri South, Warri North and Warri South West Local Government Areas bordering the Atlantic Coast of Nigeria as their homeland with their only neighbours being the Bini to the North, the Ijaw to the South, the Urhobo to the East and the Yoruba of Ondo State to the Northwest. According to Awani, from about 1490 – 1884, the Itsekiri had an independent political kingdom known as Warri Kingdom that was not subordinate to any of the World Powers in Europe or any African Kingdom. He added that it was in 1894 when the Niger Coast Protectorate was established that it came under the protection of Her Britannic Majesty vide the Treaty of 1884. He further explained that by another Treaty of 1894, the Itsekiri remained under the British until the Colony and Protectorate of Southern Nigeria was created and in 1914, without consultation with the Itsekiri people, Lord Lugard decreed Nigeria into existence and made Warri Kingdom (Itsekiri homeland) part of this enterprise. 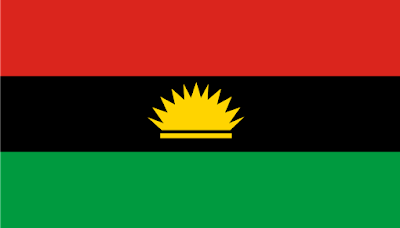 Awani pointed out that by the map of the Republic of Biafra of May 1967, Edo and Delta states of Nigeria was never envisioned as a part of Biafra by the legendary Chukwuemeka Dim Ojukwu, saying that the current inclusion of present Delta State, including the Itsekiri National territories of Warri Kingdom without due consultation is preposterous, totally unacceptable and ultimately invalid. His words,“IPOB and Biafra have their rights of agitation for freedom of self determination as enshrined in the United Nations declaration, but other minority ethnic groups not duly consulted and their approval secured should not be dragged along to avoid the mistake that led to the civil war. 0 on: "Biafra: Remove Itsekiri Land From Map To Avoid Civil War – Itsekiri Youths "